For most of us, who grew up with Rand McNally road atlases, DeLorme Gazetteers, and now GPS, it’s pretty hard to imagine being launched into completely unknown territory without a map. How in the world would you know where to go? It’s even harder to imagine being the one asked to make the map from scratch. How did Lewis & Clark do it? Where would you even start? William Clark was the expedition’s cartographer. It’s fun to laugh about Clark’s spelling; it really is hilarious. But it also sometimes makes it easy to forget just how smart Clark was. His maps of the American West are one of the great achievements in the history of cartography, and one of the most enduring legacies of the Lewis & Clark Expedition. 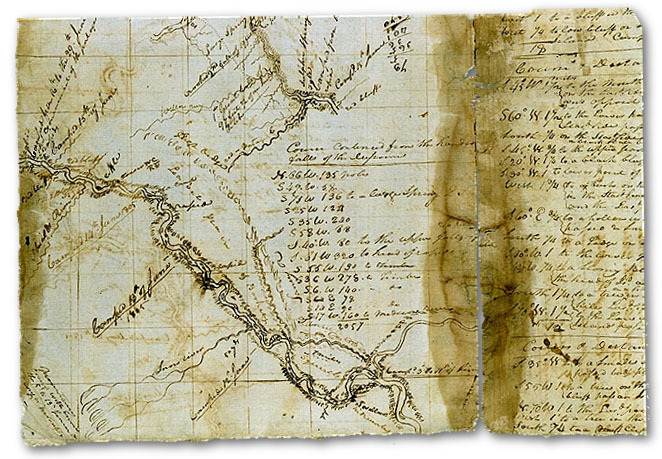 Meriwether Lewis was given virtually a blank check to outfit the Expedition, and he used a fair chunk of it in preparation for the mission’s mapmaking. 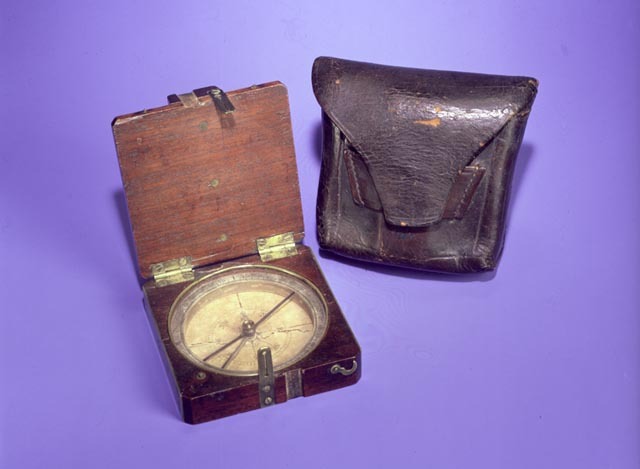 He researched and bought the finest scientific navigational instruments available in Philadelphia, including sextants and octants that could help measure angles to the sun and determine latitude; high-end compasses to assist with measuring angles to various stars; and a fancy watch called a chronometer to help determine longitude . (In fact, at $250, the chronometer was the single most expensive piece of equipment taken on the Expedition). He also bought surveyor’s chains, pocket compasses, artificial horizons (for use in the mountains), and the latest almanacs and mathematical tables. Morever, Lewis underwent a crash course in how to use the instruments, knowledge that he later passed on to Clark. 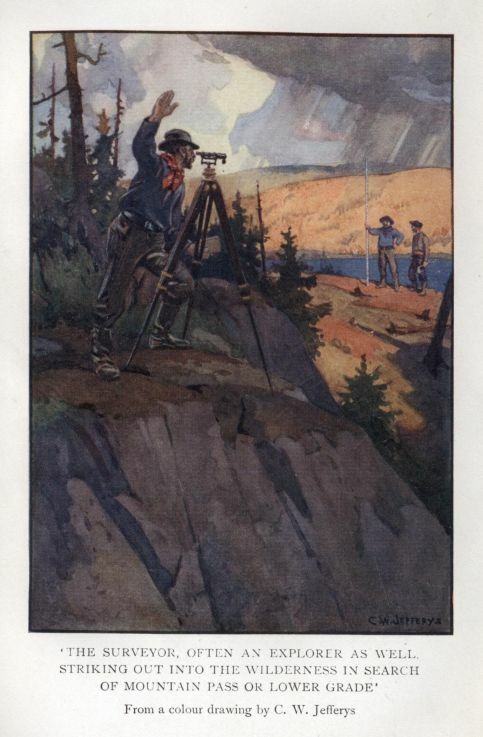 The Montana Bureau of Mines and Geology has a wonderful overview of the navigational instruments of Lewis and Clark . The entire article Lewis & Clark: A Geologic Perspective is well worth your time. 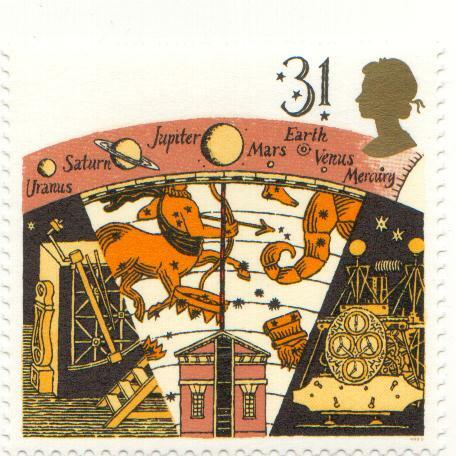 Though the instruments were break-through technology in their day, and would eventually evolve into the kinds of amazing navigational devices we have today, at the time they were cranky, difficult to use, error-prone, and required time, patience, and big-time math skills to operate. Though Lewis and Clark faithfully tried to use them, in practice Clark, who soon took over almost all responsibility for mapping and navigation, relied heavily on a traditional process called dead reckoning. Dead reckoning is simple in concept, but requires a disciplined mathematical mind and the ability to grasp both details and the big picture. The basics are these: to make a map of unknown territory, you first start with the last known point. Then you use a calculation to track your progress. In short, if you know your rate of speed and how long you have traveled, you can calculate distance. Clark knew how to employ dead reckoning both on foot and from the river. Since the Expedition usually needed to be on the move, most of Clark’s work was done from a boat, though he did use the surveyor’s chains on land when he wanted to calculate the width of the river from various points. From the boat, Clark used a compass, a watch, and a log line. When he sighted a handy landmark, such as a creek mouth or an island, Clark would note the exact time, take a compass reading to find the landmark’s direction, and then throw a weighted piece of wood over the side. The weight is on a rope marked with knots and loops, and as the boat travels, you can count the number of knots that pass by in thirty seconds. This is how you determine how fast the boat is moving in nautical miles or knots. Lewis & Clark Trail Maps, by Martin Plamondon. The late author wrote and drew maps for three remarkable volumes overlaying his own modern maps with Clark's. (Information) Took Meridian altitude of Sun Limb. 37° 6′ 0″ equat to blank of Lattidude. the land below this is good. Every few days, Clark reconstructed his notes into a grid map of the river to scale. Historians believe that Clark probably kicked around his observations with Lewis and some of the other men, especially the sergeants who were specially assigned to act as lookouts and observers along the river. It seems like magic to me, and as you might expect, whether a map produced this way was accurate depended entirely on the skill and good judgement of the observer. Fortunately for Lewis & Clark’s historic legacy, it turned out that William Clark was a dead reckoning genius. A disadvantage of dead reckoning is that since new positions are calculated solely from previous positions, the errors of the process are cumulative, so the error in the position fix grows with time. So how did Captain Clark fare? When the Corps of Discovery arrived at the Pacific Ocean in November of 1805, Clark estimated that they had traveled 4162 miles since leaving Camp Wood some 18 months earlier. He was off by a mere 40 miles. That’s amazing that Clark was able to very accurately calculate their positions, especially in the absence of the modern technologies we enjoy today. I’m in awe of someone that skilled! I’m guessing that the maps he made still survive? Rebecca, I found out something really interesting this last summer that I never knew. In 1832, Prince Maximilian of Wied mounted the first scientific expedition up the Missouri since Lewis and Clark thirty years earlier. William Clark helped him prepare for the expedition, and had his nephew, Benjamin O’Fallon, copy his large-scale maps so Maximilian would have them for the trip. Clark and O’Fallon made 34 maps for the prince. What I didn’t know is that these maps are a priceless historical record, because in more than half the cases, they are the only surviving record of the original! All of Clark’s original maps from between Wood River and the Mandan villages have been lost — the entire first year of the Expedition! There is also a gap in his maps of the Yellowstone. The rest do survive. The originals reside with the Lewis & Clark journals at the American Philosophical Society in Philadelphia, and the Maximilian copies at the Joslyn Art Museum in Omaha. It is not known what happened to Clark’s maps, which obviously he had in his possession during his lifetime. One possibility is that they were destroyed in the infamous “trash fire” of the 1930s. Clark’s old house had passed out of the family and had been turned into a boarding house. The landlady paid a young couple to clean out the attic and burn the old papers and junk they found up there. Many years later, historian James Holmberg spoke with the couple, who had doubts about what they were doing even at the time, and believes that they burned stacks of Clark papers as well as artifacts from the Expedition. That kills me to think that priceless historical items, such as the maps and other artifacts from Expedition, were deliberately burned as “trash.” That’s heartbreaking! Yeah, I know. It’s horrible! Apparently, Clark’s son Jefferson moved away from the house and then simply never got around to doing anything about his father’s papers and other items. He didn’t have any children, so when he died the items in the house were never properly seen to. Fortunately, Clark had two other sons who survived him and were a little more careful, or at least their descendants were. The items in their possession mostly ended up at the Missouri Historical Society. One thing I have realized as I have gotten more and more interested in history, doing research, and visiting historic places, is that many people do not see the value in history. The wonder isn’t that so much has been lost, but that so much has survived. God bless the people who DO care.